When you delete or quick format data, it just makes it invisible for the user, but the information should still be there. However, it also makes the sectors with the deleted data "available" - which means, if new files are saved/created they will over-write the deleted files. The one exception is a full format, which completely rewrites all the data to 0's. For "deleted" or "formatted" recovery, service fee is non refundable, because the outcome depends on the sectors that contains the information. Until the entire recovery is finished, we cannot possibly know which files will be recovered, because deleted/formatted files may have been overwritten or corrupted. We have over 10 of the strongest software (including our company unique custom software) and depending on the situation we can choose the one that fits the file system and specifics of your case. You can be sure, that we will do our best to get you back every file that can possibly be recovered. Check the sectors on a low level to see if they contain information or if they are empty. if they are empty, data recovery is not possible and you will be informed. Complete a sector by sector clone of the storage device will be performed. We will then scan the cloned hard drive with the proper software for the lost files and folders. It’s tempting to try to do it yourself, but do not try to use a system recovery software! When the software begins to run, it attempts to write the data to the same disk that you're recovering from, meaning you can damage or even completely lose them. If the drive has bad sectors, the software will still try to read those sectors, sometimes even repeatedly. This can also cause further harm to the drive. 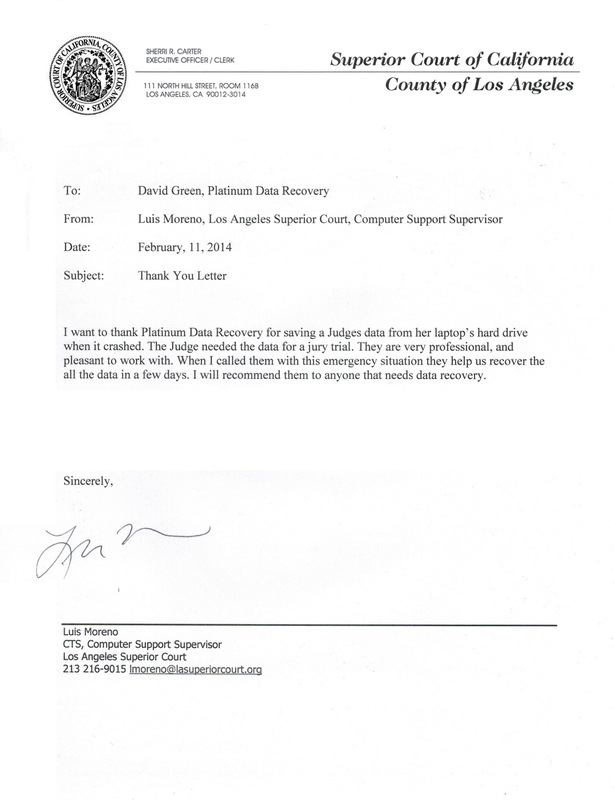 "[Platinum Data Recovery] are very professional and pleasant to work with. When I called them with this emergency situation, they helped us recover all the data in a few days"